What does Black & Blue mean? The Thin Blue Line. It's a concept represented by a symbol. Two black lines separated by a thinner blue line. The two black lines represent the public and crime. The thin blue line? The law, of course. The thing that stands between the law abiding populous and the people who would seek to do them harm. Crime, detection, deterrence, and punishment. 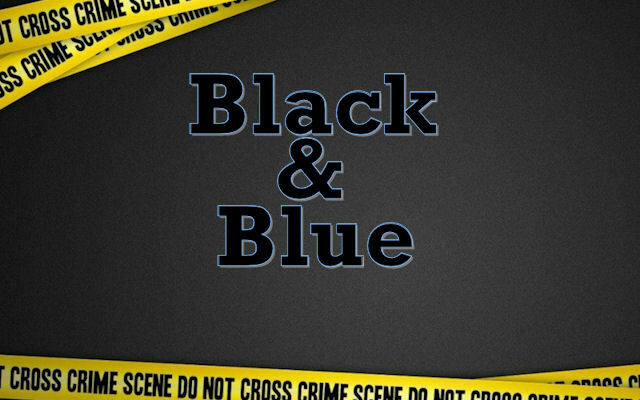 Black and Blue will strive to examine all the aspects of criminology, forensics, police work, and related subjects including the discussion of the criminal mind and real crimes. We'll also dive into discussions about everyone's favorite crime related TV shows and movies. We will talk about their plots, past and present. We can have round table discussions about how their procedure differs from actual procedures and maybe even figure out how we'd do it differently if we were writing it. The overall idea? Making crime fun! Making police work and the law fun to learn about and write about! Check out our banner exchange of crime stories! If you have a story or novel you'd like us to link back to from here, please contact a MoB. Support us with this link on your home or dust jacket!